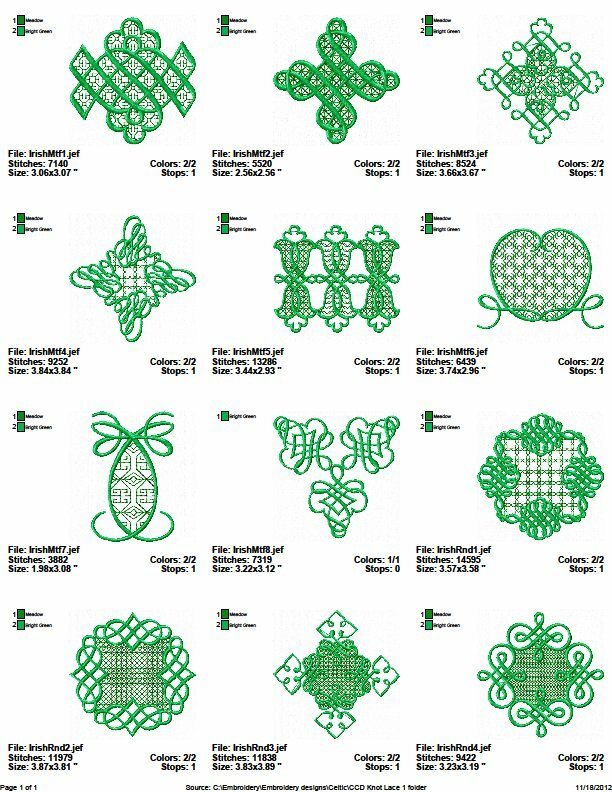 An acquaintance of mine contacted me to inquire if I could embroider fabric blocks for her so that she could put them into a quilt. 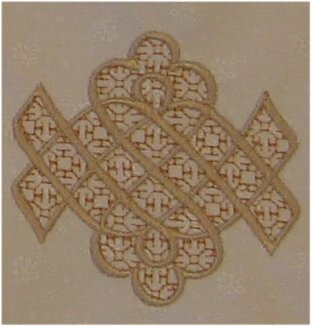 She was the first to say that she was completely clueless as to the machine embroidery process, so we spent some emails back and forth discussing how this was done and my rates, etc, etc. 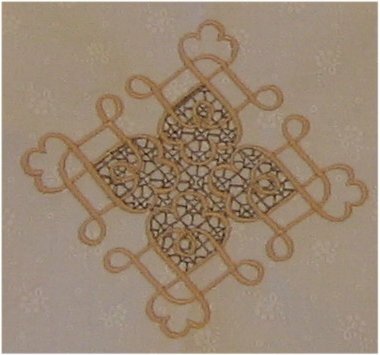 After much discussion and re-evaluating what she wanted (and could afford), we agreed on some guidelines: she would create the quilt layout, send me the fabric, select the designs from the pictures/links that I sent to her, select the color choices, piece the quilt top. 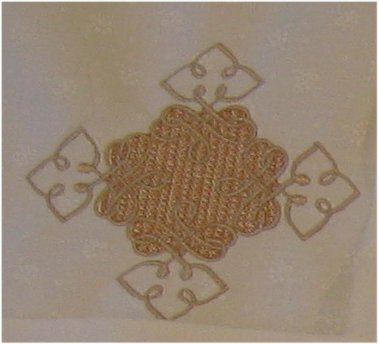 I would match the color choices as closely as possible and embroider the selected designs onto her fabric. 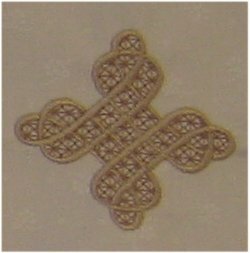 I also emailed her a digital picture of an actual sample stitch out so she could see the Real Thing before I got started. 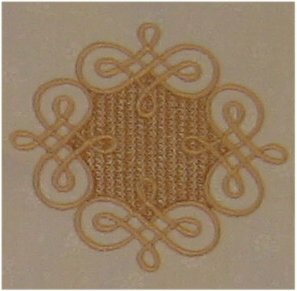 She chose Celtic knot designs by Cardinal Country Designs and distributed through Oregon PatchWorks. 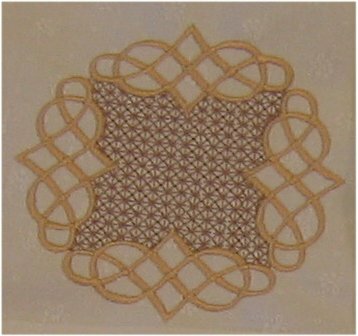 The specific designs were Celtic Knot Lace 1 (shown at left). 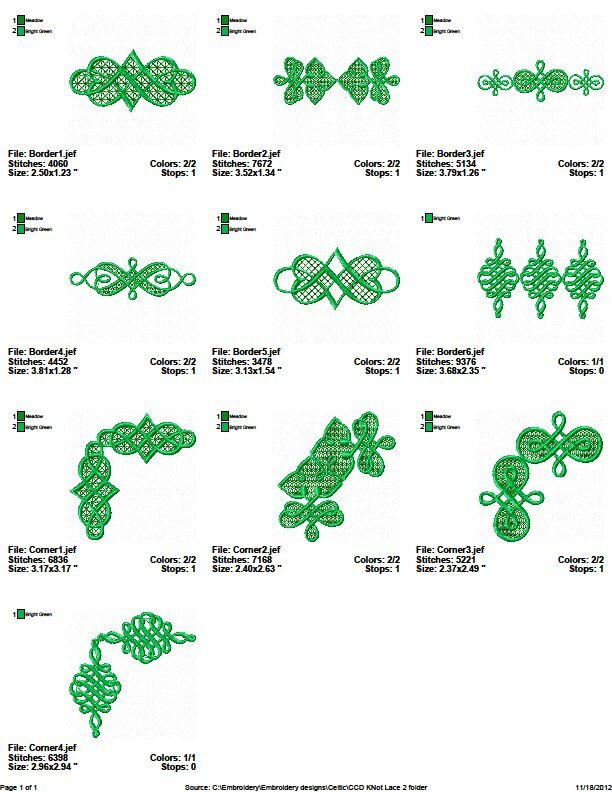 An alternative, additional set is available at Celtic Knot Lace 2 (shown at right), although my client chose not to use any of those designs. Although she gave me the color choices and the guideline that she wanted the darker colors in the center, she left the combination of colors up to me. OH MY GOSH .. talk about agonizing over the colors! It wouldn't have been nearly so bad if it was MY blocks ... but this was for a customer and I felt they needed to be gnat's eyelash PERFECT. But .. what if the colors I thought looked good together weren't to her liking? I was truly stressed over this. Fortunately, my customer was thoroughly pleased with the blocks, lifting a great weight off my shoulders! I can honestly say that Country Cardinal Designs are awesome, AWESOME designs. 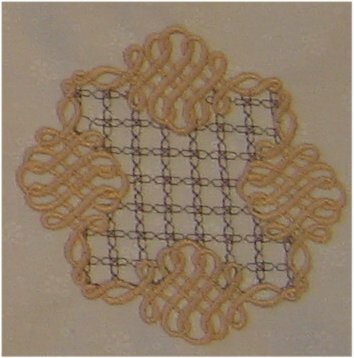 They are carefully digitized with a minimum of jump stitches and stitch out BEAUTIFULLY. I wouldn't hesitate to buy more from her, should the occasion arise. 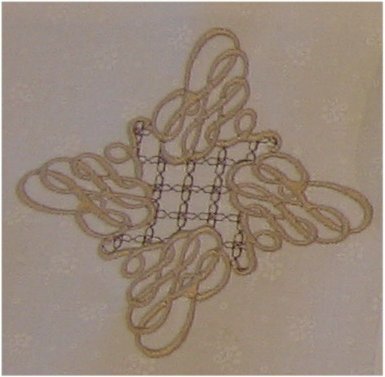 Did I mention that the designs are GORGEOUS? ?